Shopping for Back to School? Earn bonus cash rewards when you purchase Belk, Gap, and Banana Republic digital gift cards from your Shopping Boss account through 7/22/18. Save an extra 20% with the Belk Back to School Sale. 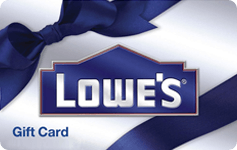 Find the coupon and other deals here. Gap is offering 40% off online purchase through 7/20/18 with promo code HAPPY. Find their latest deals and coupon here. Shop online at Banana Republic and save 40-50% on select styles; no coupon needed. The latest deals and coupons can be found here.